Our Abpromise guarantee covers the use of ab99632 in the following tested applications. 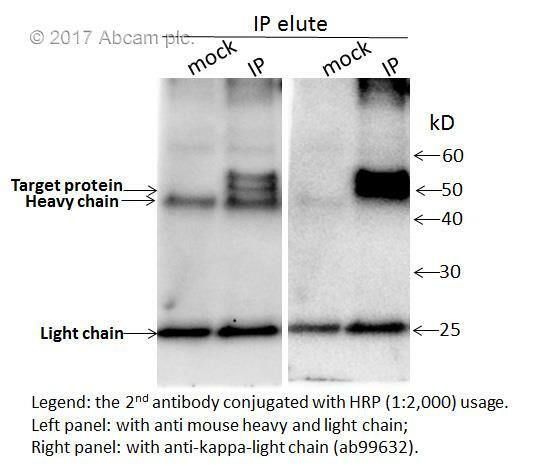 THIS IS A GOOD ANTIBODY THAT CAN ELIMINATE HEAVY CHAIN BACKGROUND FOR IP ASSAY. PLEASE REFER THE ATTACHED DATA IF YOU WOULD LIKE TO USE IT.